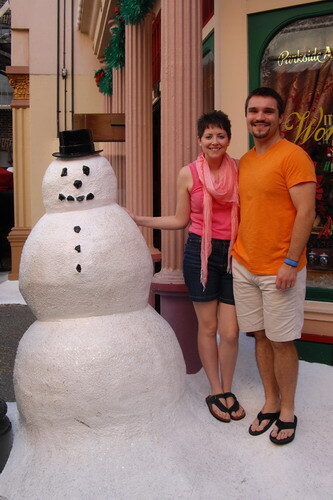 Christmas and Walt Disney World have two important themes in common: family and memory making. One of the best ways to tie the two together is with photographs. 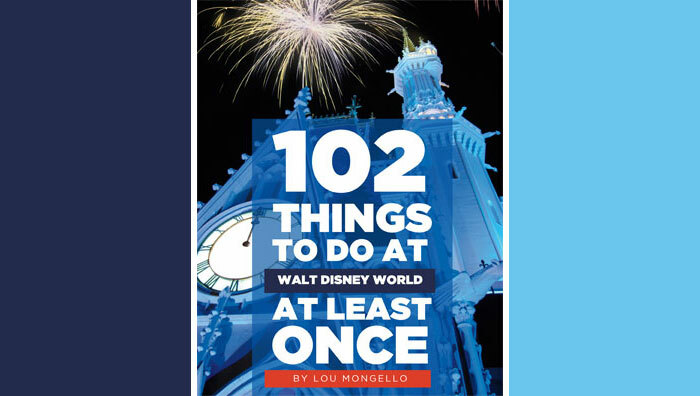 Whether you own a high-powered DSLR camera or you prefer to shoot selfies on a smartphone, there is no denying Walt Disney World is home to hundreds of amazing and unique backdrops for photo ops. For WDW fans, what could be better than capturing a perfect family memory for your holiday cards? 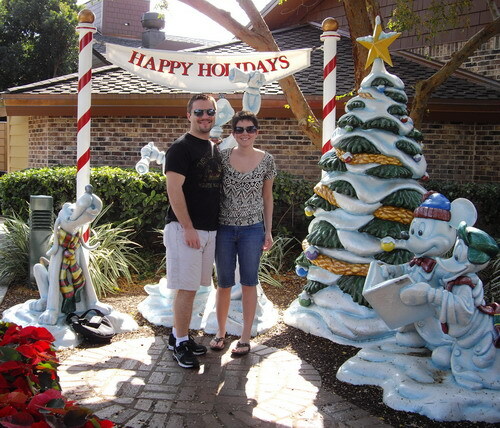 Though it is likely too late to take advantage of the following suggestions this year; there is plenty of time between now and next year to plan for and obtain the ideal WDW photograph for your custom greetings. In addition to being the focal point of your cards, perhaps, one of the holiday shots you snap will turn out to be perfect family photo for your living room wall, computer desktop, smartphone wallpaper, or wherever you choose to display your favorite family pictures. Though it is an obvious choice, no visit to the Magic Kingdom Park during Christmas would be complete without a family photo backed by the beautiful Cinderella Castle Dream Lights. 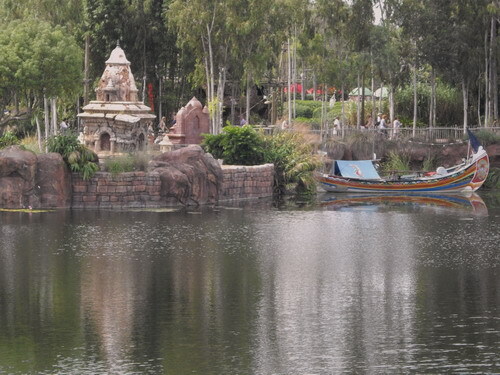 While you can have a Photopass photographer capture a shot in a number of locations, you will not find one stationed at this vantage point. The patio seating areas of Tomorrowland Terrace and Cosmic Ray’s Starlight Cafe offer fantastic unobstructed views of the castle, and the restaurants provide enough light to keep your picture from looking blurred in lowlight. Surrounding tables conveniently serve as a prop/stand for cameras during a timed shot. 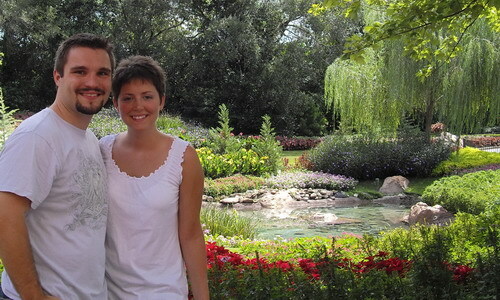 The Victoria Gardens found in the Canada pavilion at Epcot provide a beautiful and vivid backdrop for a family photo, and there is plenty of space for a group photo. 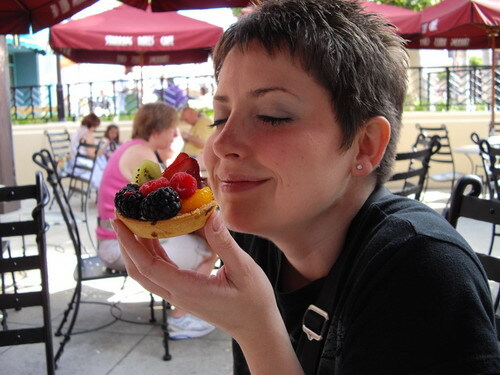 Whether it is a row of little ones lickin’ up melty Mickey’s Premium Ice Cream Bars or the foodie preparing to partake of a delicious pastry, every WDW Fan has a favorite treat and capturing the pure bliss that accompanies the long-awaited enjoyment makes for a great photo. 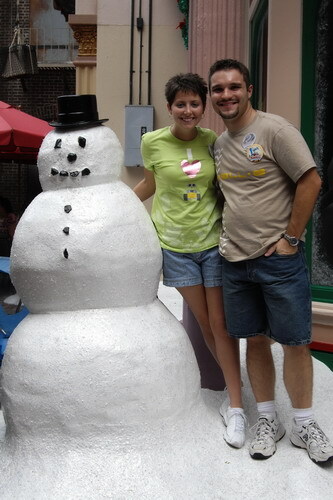 Throughout the various WDW property at Christmastime, there are fun preset photo areas decked out with holiday topiaries and/or life-size figures that provide whimsical backdrops for a truly Disney-themed picture. 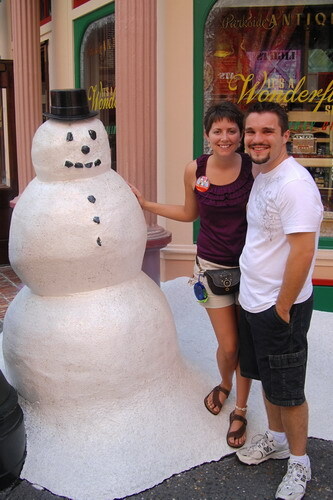 He is quite possibly the most-photographed snowman in the world. This kindly gentleman once had an adoring family, but now he stands alone waiting for yours to stop by for a snapshot with him. If sunlight sensitive eyes have you squinting in most of the photos you take in the bright Florida sunshine, this location is perfect as it is shaded from all directions by the surrounding buildings. A heads up about this photo op, you may want to capture yours as soon as possible because Disney’s Hollywood Studios is in a state of change, and this beloved old Christmas friend may have to hurry on his way. 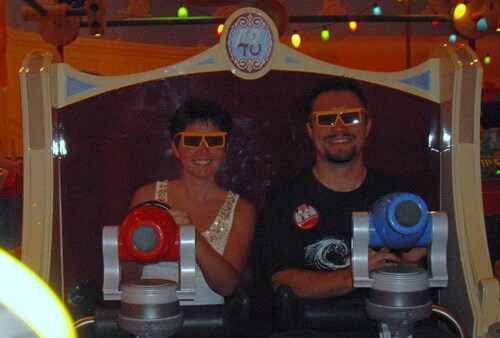 Walt Disney World is known for its attractions, and nothing says kid-at-heart like a silly on-ride photo. While you can plan ahead and time your pose for the photo taken by Disney, it is also fun to capture a candid shot while waiting in the load/unload area. 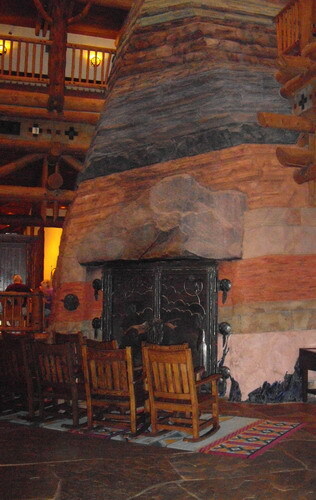 Whether you prefer a silly family photo donned with ugly Christmas sweaters or a more formal portrait, the immense fireplace in Disney’s Wilderness Lodge provides a truly homey feeling complete with rocking chairs. 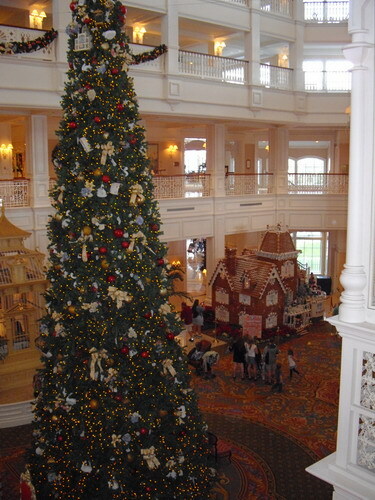 The grandeur of Disney’s Grand Floridian Resort and Spa at Christmastime is unmatched! 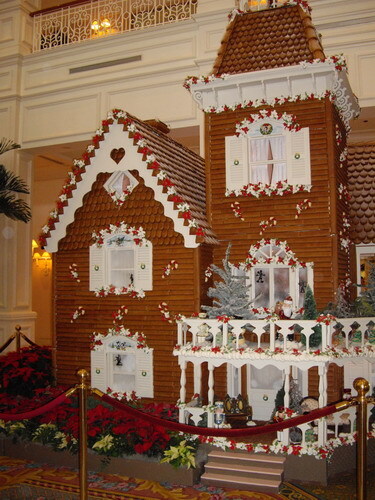 A fantastic family photo can be taken in the Lobby near the life-size gingerbread house or ascend the staircase to the second floor where the entire enchanted scene is visible. Keep your family and friends guessing as to whether you traveled domestically or internationally with a family photo taken at the International Gateway Bridge in Epcot‘s World Showcase. 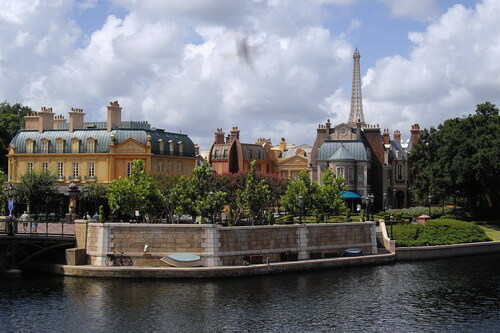 Spanning the channel between the United Kingdom and France pavilions, this location is perfect for a large family and provides a picturesque backdrop both day and night. Where are your favorite places to take family photos in Walt Disney World? 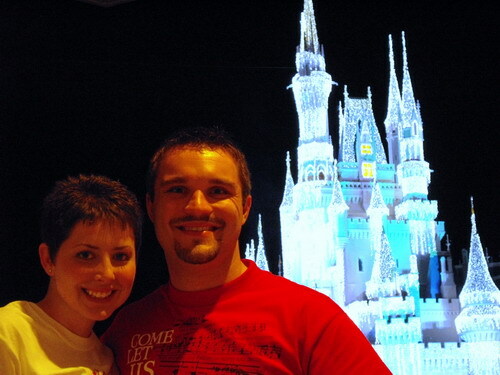 Have you ever made a Walt Disney World themed photo card? 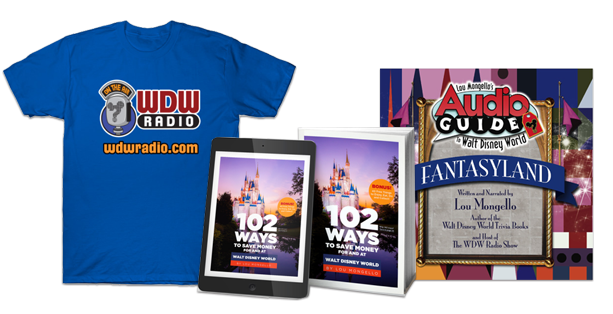 Let us know in the comments section below, and be sure to join us tomorrow for Day 11 of the WDW Radio Christmas Extravaganza! 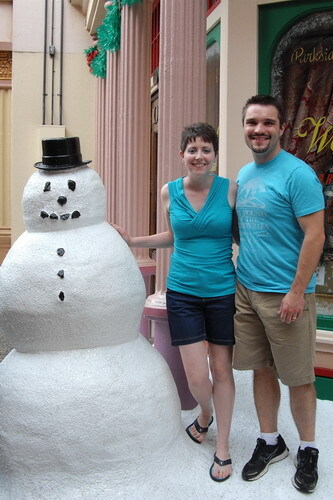 My family and I always like to take pictures with the Snowman at Disney Studios, too. Here’s hoping he does not end up being a casualty of the park’s renovations.